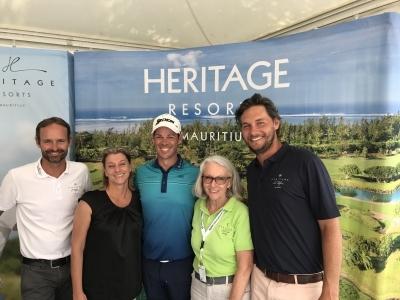 Heritage Le Telfair Golf & Wellness Resort stands out once again this year at the 2018 World Luxury Awards by winning the title of "Luxury Wellness Hotel" in the Indian Ocean category, a prestigious award that highlights both a global and innovative approach to wellness and the expertise of a team trained in the principles of Seven colors Wellness Experiences. Congrats to Heritage The Villas team for winning the award of "Mauritius Leading Hotel Residence 2018", twice in a row! World Travel Awards rewards and celebrates excellence in all key sectors of the travel, tourism and hospitality industries. Each year World Travel Awards™ covers the globe with its Grand Tour – a series of regional gala ceremonies to recognise excellence within each continent, culminating in a Grand Final at the end of the year. 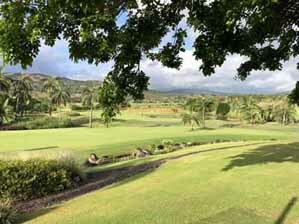 Heritage Golf Club does it again! Innovation spirit and perfection are rewarded. Heritage Golf Club "Indian Ocean's Best Golf Course" 2018. "We are very proud to win this award for the 5th time in a row", says Simone Rösel, from the German sales office. Das Heritage Le Telfair Golf & Wellness Resort auf Mauritius ist bei den World Luxury Hotel Awards 2017 gleich zwei Mal ausgezeichnet worden. 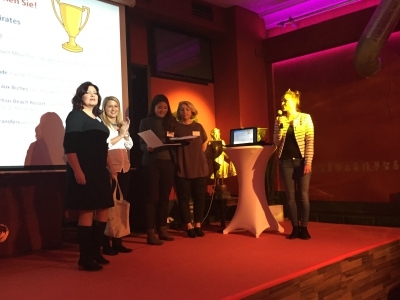 Das Team des Luxus-Resorts kann sich über die Titel „Country Winner: Luxury Spa Hotel“ und „Country Winner: Luxury Romantic Hotel“ freuen. Die Auszeichnung ehrt die herausragenden Leistungen des Heritage Le Telfair in der Luxus-Hotellerie und lobt insbesondere Stil und Ausstattung sowie die hohe Servicequalität des Hotels. Mit gleich zwei Auszeichnungen ist das Heritage Le Telfair Golf & Wellness Resort einer der großen Gewinner der diesjährigen World Luxury Hotel Awards. On the 11th IKUONI Reisen Switzerland had invited the owners and managers of their top 80 travel agencies to a networking workshop in Lenk. There were plenty of hotel partners from around the world preseting their products and we also had the pleasure to represent the during this event. 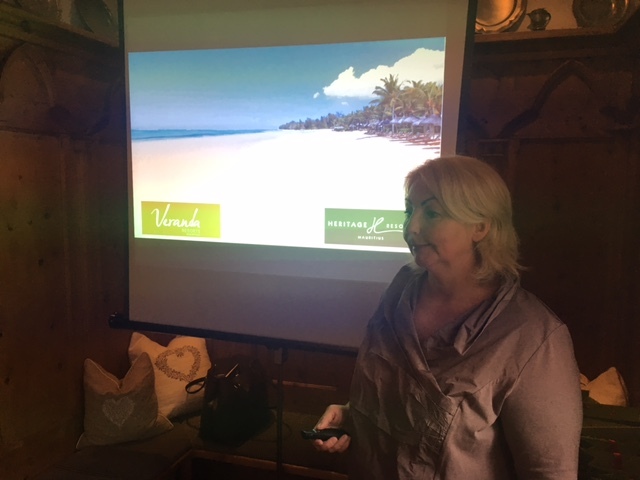 It was interesting to catch up with other partners and especially to talk to travel agent partners from all areas of Switzerland. 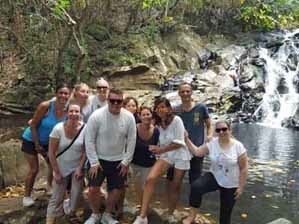 In December 2017 Veranda & Heritage Resorts in cooperation with Air Mauritius invited 8 top travel agents on a trip to Mauritius to experience our resorts and the multiple activities both VLH brands has to offer. First visit on the program was the charming and newly renovated Adults Only boutique Hotel Veranda Paul & Virginie, after the long flight and the transfer, we enjoyed the breakfast and the neck and shoulder massage in the Seven Colour Spa of the hotel. 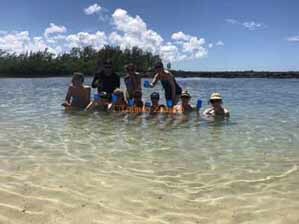 After a shower we drove along the northern coastal road through Grand Baie to Pointe aux Pixments for a site inspection and cooking session in Veranda Pointe aux Biches – We were welcomed by a sega dance group and even had the possibility to join the dancing. After the self-cooked lunch it was time to go back for a few hours rest and enjoying the sun and the pools in Veranda Paul & Virginie and then get ready for dinner. 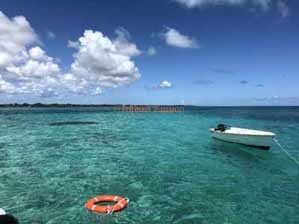 The second day we spend the full day on the Veranda Catamaran cruising in the lagoon, snorkelling, having a nice BBQ on the boat and then spending a few hours on a lonely island. Late in afternoon we returned to the hotel where our transfer was already waiting to take us to our next stop Veranda Grand Baie. We arrived in time for second sega lesson and to enjoy the beautiful sunset. 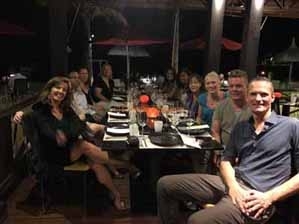 In the evening we had a really nice dinner on the beach with rum tasting and later we had a look at the night life in Grand Baie. The next morning our trip continued, we crossed the island and drove to the east coast for a cocktail session and site inspection in our small All-Inclusive hotel Veranda Palmar Beach Resort. Located on one of the most beautiful beaches on the Island Belle Mare Plage.After a light snack we drove to the south, stopping at the sacred lake before reaching the domaine Heritage Bel Ombre, where we checked in the newly renovated 5* plus resort Heritage Le Telfair Golf & Wellness Resort. 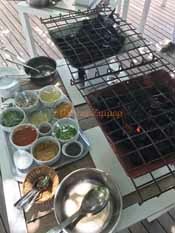 We enjoyed a very nice lunch in the newly build beach restaurant and then we had a breathing session in the Wellness Pavilion, a very special experience. In the evening we visited the Heritage Chateau Bel Ombre, where we enjoyed the exquisite cuisine and the fantastic service in this very special setting. Later we had a late night drink in Heritage Awali and enjoyed the very special atmosphere in this African style hotel. 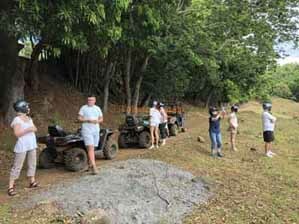 After breakfast it was time to get on the quads in the Heritage nature reserve for a two hour safari to watch the wildlife, the nature and the waterfall. Amazing tour and everybody were surprised to see the size of the domaine . 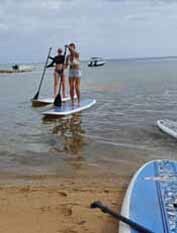 In the afternoon the participants had chosen different activities, golf and stand up paddling and everyone enjoyed themselves. 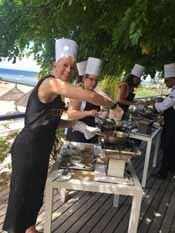 On the last evening we enjoyed a very special meal in the GinJa restaurant on the beach. What a great way to round up a fantastic and intensive trip. 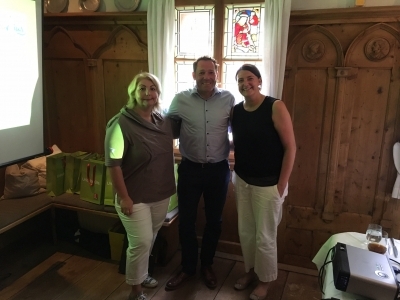 In cooperation with our tour operator partner Tischler Reisen and Beachcomber Resorts, Veranda & Heritage Resorts had invited travel agents to two nice dinner events in Bozen/South Tirol and in Innsbruck in Austria. The agents were very interested in the information about our resorts, especially of course the two resorts that are currently under renovation, our "adults only" Resort, Veranda Paul & Virginie as well as the very well known Small luxury Hotel of the world our flagship Heritage Le Telfair Golf & Wellness Resort. Together with Project Golf Sports, Villas Valriche Heritage Resorts participated with a booth at BMW Open in Munich. Estimated 60.000 guests visited the event and we had a good number of guests at our booth as well. 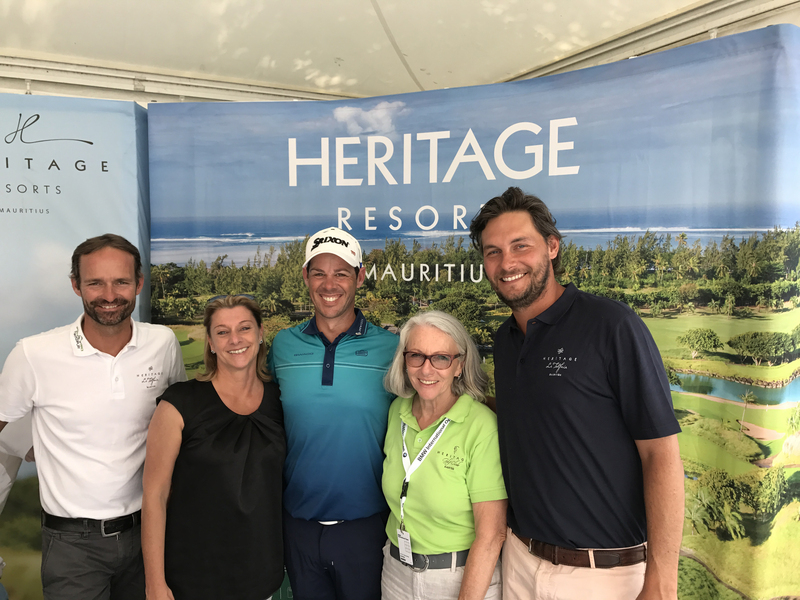 Amongst the visitors some repater guests who are very exited about coming back and visiting the refurbished Heritage Le Telfair Golf & Wellness Resort. From the 19th to the 22nd we were on Roadshow through Germany. 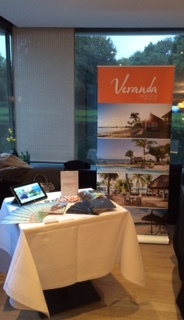 Travel agents in Stuttgart, Nuernberg, Dresden and Bremen had the chance to meet several hotel partners and airlines from Mauritius.We want to thank all agent for their interest in our Veranda & Heritage Resorts and to extend a big congratulation to the the two winners from Stuttgart and Bremen, who we look very much forward to welcoming in our resorts very soon.